What is so special about our probiotics? Our award-winning probiotics are potent and effective and their exceptional stability means the stated potency is correct right up to the end of shelf life. In many of our products we use the unique LAB4 complex of bacteria which are human strain live bacteria shown in scientific studies to be stable, effective in the gut and acid resistant. 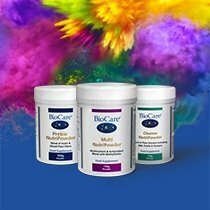 We have a range of low, medium and optimum dose products both in capsule and powder form. Our probiotics are dairy-free, vegetarian and vegan (with the exception of baby BioFlora). We have a wide range of probiotics including capsules and powders with a range of potencies, meaning there is a probiotic for everyone, including children. BioAcidophilus is our best-selling everyday probiotic and is available in a capsule or powder. For higher strength, we have BioAcidophilus Forte or Replete Intensive. For children, we have Children’s Banana or Strawberry BioAcidophilus powder. See our probiotic category for our full range and if you are still unsure which one is right for you, contact our Clinical Nutrition team. Why do I need to refrigerate probiotics? Probiotic bacteria are living organisms and are reactive to heat, light and moisture. Our probiotics are high potency and guaranteed to the end of their shelf life as long as they are refrigerated. Due to the freeze drying process, our probiotics survive well outside for the fridge for up to a couple of months and should maintain their potency. This means probiotics are safe to travel with if no refrigeration is available for short periods of time. Can I take probiotics whilst on antibiotics? Yes, it is beneficial to take probiotics whilst taking antibiotics to support the good bacteria when it has been compromised. We recommend that they are taken 2-3 hours apart from each other to avoid any interaction. Can I take probiotics whilst pregnant? Our probiotics are suitable for use during pregnancy. In fact, AnteNatal BioFlora is the only probiotic with a clinical trial demonstrating its absolute safety for both mother and baby. 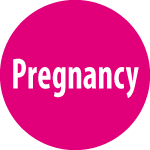 Look out for the logo which is shown for all our supplements that are safe to be taken during pregnancy. We have a wide range of multivitamins in many different forms. Liquids, powders and capsules formulated for general dietary support to more specific nutritional needs such as for women, men and children. 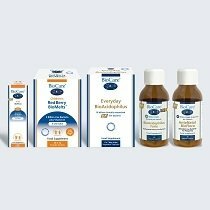 See our multivitamin category for our full range and if you are still unsure contact our Clinical Nutrition team for advice. Why does my urine turn yellow when taking your vitamins? This is due to the vitamin B2 (Riboflavan) which has a strong pigment that can pass into the urine. It is perfectly normal and not harmful. Which Essential Fatty Acid is right for me? 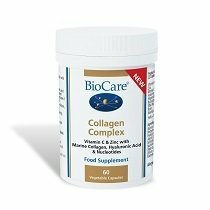 We have a wide range of fatty acid supplements from every day to high strength in both capsule and liquid forms. We also have supplements that are suitable for vegetarians and vegans – look for the logos. See our Fatty Acids category for our full range and if you are still unsure, contact our Clinical Nutrition team for advice. Where are your fish oils sourced? We use wild anchovies and sardines from the clear pacific waters between Peru and the Atlantic. Our regulated supplier works closely with the association of Peruvian Anchovy producers. Because we know where our fish come from we can trace it right back to the fishery. Our population is sustained to the right levels and have not changed for 30 years. How can I be sure about your fish oil purity? Careful harvesting of anchovies and sardine low down the food chain minimises contaminants. Further purification then creates oil with unrivalled purity. EFAs like EPA and DHA are highly unsaturated, rendering them prone to peroxidation - we utilise antioxidants such as natural mixed tocopherols and sometimes vitamin C to protect the oils from oxidation. The Multox antioxidant system used in our liquid oils delivers virtually no peroxidation of oil tested in normal daily use over a 90 day period, ensuring that the products are kept as fresh and pure as when opened. Why do you use plastic pots? The product packaging we use is critical to protect the quality and efficacy of our food supplements. We recognise this has to be carefully balanced with minimising our impact on the environment. All of the plastic pots we use are pharmaceutical grade and BPA free and in order to reduce waste, we have standardised the number of different sized pots we use so we do not have to produce different pots for every individual product. How do I know if a supplement is free of allergens? All common allergens, if present, are highlighted within the ingredients on each product label. Product ingredients are also available to view within each product page on our website. How do I know if it is safe to take your supplements during pregnancy and breast feeding? Look out for the logos that have been placed on a product page. These will tell you if the product is suitable for vegans, vegetarians, pregnant women, breast feeding women and children. At what age can someone begin to take an adult dosage? A normally developing teenager can begin to take adult dosages from around 14 years old. None of our products or ingredients are tested on animals, nor do we commission any third party to do so on our behalf. Our liquid supplements vary in size and therefore the amount of drops they provide. Click here to view a chart showing each liquid. Are there any health conditions that you can’t advise on? Under the provisions of the EU Medicines Legislation, we are unable to make any recommendations or give advice to treat the following conditions: Cancer, Sexually Transmitted Diseases, Glaucoma, Epilepsy, Diabetes, Locomotor Ataxia, HIV & AIDS, Tuberculosis and Kidney Disease. We have a range of supplements that have been rigorously tested to make sure they are free of WADA (World Anti-Doping Agency) banned substances and therefore safe for professional sports persons to take. Only products that have been tested can hold the logo. See our Sport category and if you are still unsure contact our Clinical Nutrition team for advice.